With spring in full swing, we have just received a new shipment of one of our most popular brands, GANT. With all the spring colours finally in store, we thought it would be appropriate to dedicate today’s blog to this historic brand. The History behind The Name: This iconic brand’s rich history stretches as far back as 1914, when Bernard Gantmacher arrived in New York City from the Ukraine. Empty handed, but determined, he enrolled at Colombia University, studying to become a pharmacist. To fund his education, he worked night shifts in the garment district. His first job was to sew shirt collars which soon proved to be a hidden talent. There he met his future wife, Rose, who was working as a button and buttonhole specialist and thus the foundations of their future were laid. It was in 1927, when the couple moved to New Haven, Connecticut that Bernard set up business as a sub-contractor, making shirts for other labels. The couple were quickly recognized for their skill as shirt makers and became trusted partners for some of the most notable brands of the time. To ensure customers were getting the same high quality every time, Bernard started labelling the shirts with a diamond “G”. 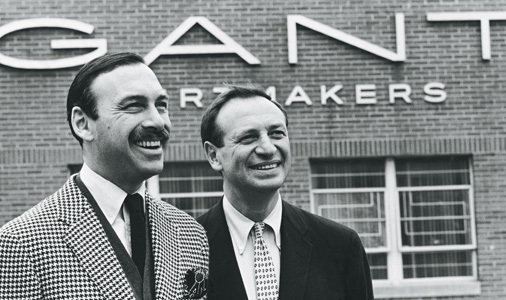 After World War II, the couple’s two sons chose to join the family business and in 1949 they launched their own label, GANT of New Haven. Their key product, the GANT shirt was an overnight success. According to the Gants own history, an important feature was the button-down collar. 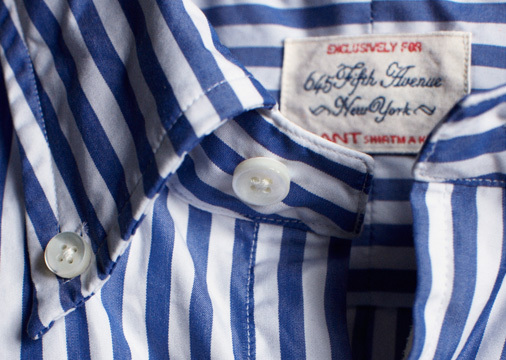 Button-down shirts, originally an English innovation, where becoming very fashionable and GANT was the first to introduce such a shirt on a large scale to the US market. Today, Gant represents a brand with one foot set firming in their heritage, while the other is set in the present, with its classic style and renowned quality, combined with a modern flare which keep the labels new collections fresh and appealing to new generations. Whether it comes down to matching great looking shirts with jeans, or finding that perfect pair of casual trousers, Gant offers unsurpassed style and comfort with their superior craftsmanship and design, characteristics that have kept the Gant range of clothing at the forefront of men’s casual wear for over 80 years.